Please follow the dosing instructions carefully. 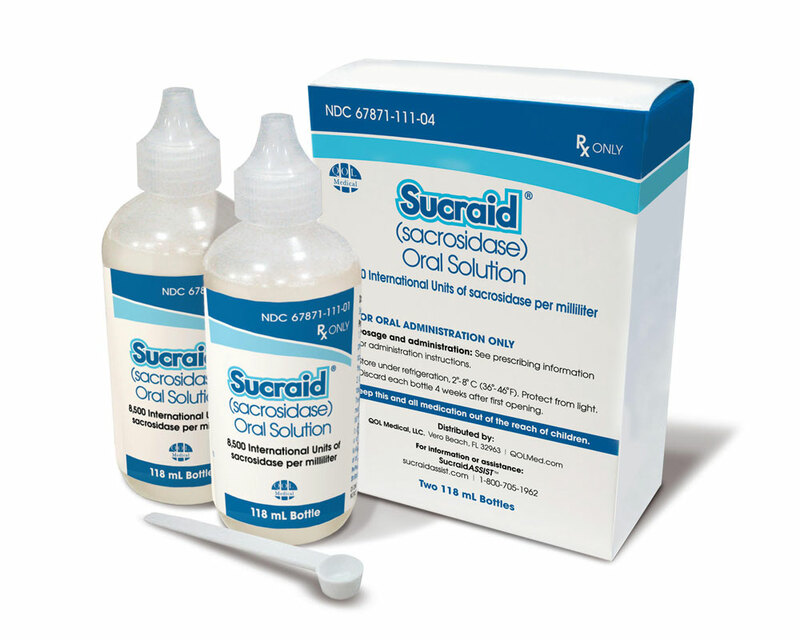 Each Sucraid dose should be diluted in 2 to 4 ounces of water, milk or infant formula. Sucraid can be measured with the 1 mL-measuring scoop (provided). Healthcare professionals may recommend that patients avoid dietary sources of starch for the first two weeks of Sucraid treatment, then gradually add starch back into the diet while monitoring symptoms, as Sucraid does not address isomaltase deficiency. Sucraid [package insert]. Vero Beach, FL: QOL Medical, LLC; 2017.